On one particular morning Mom called to complain that her Television would not work. She had long been infatuated with Bob Barker and the Price Is Right. And more recently, TV had become her all-time favorite pastime since it required little interaction. Mom could no longer watch movies or soap operas or serial television with a continuous story line. By the time a good movie returned from commercial break, Mom had forgotten the story line. So she preferred game shows and comedy hours, no memory of the previous segment before commercial interruption required. This morning, she was quite upset because I couldn’t fix her television telepathically over the phone-line. “Yes,” she was perturbed by such a dumb question, “Of course it’s turned-on! If it wasn’t turned-on, I wouldn’t be calling you to fix it.” That made perfect sense. “I know that,” Mom was downright testy. “I don’t know what channel it’s on but I can’t change it. This dumb remote won’t do anything. Maybe the remote is broken and not the TV.” I could hear the remote being slapped soundly against her open palm. Mom didn’t answer and I could only imagine what she was trying now. “Mom, there’s another remote,” I just remembered, myself, “in the top drawer of your desk, there’s another remote. Maybe we should try that one. I don’t think the remote should be making noises like that anyway.” Silence. “Mom, are you there.” Beep…beep…beep….the remote was beeping again. “Mom…” No answer. “Mom!“ I speak louder, and ask about the black television remote with the red buttons. “Mom, what color is that remote?” I’m clearly shouting and she finally hears me. When the confusion cleared, Mom began to laugh, feeling silly as she could be. And finally, So did I. 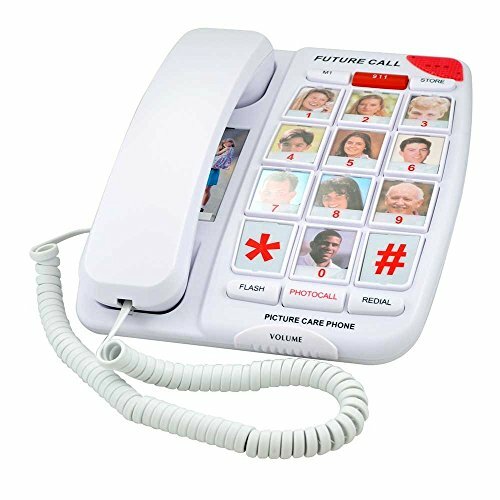 The person with Alzheimer’s is often confused by buttons and dials, soon enough they are unable to use a microwave oven or tell the difference between a phone hand-set and a remote for a television set. 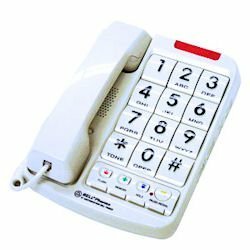 If they are still able to use the telephone, it might be better to have a phone with large buttons on the desk-set rather than the hand set. 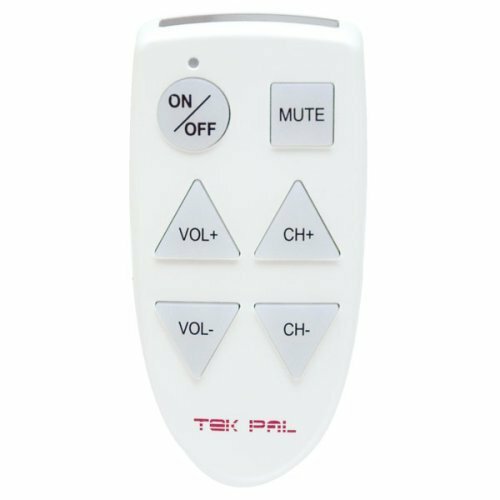 Then, it cannot be confused with a smaller device such as a television remote control. I dealt with this on a regular basis early in my mother’s Alzheimer’s Disease, and she still lived at home. Here are some of the tricks I used. Tip # 1. I put a minature camera on a shelf behind her “TV chair” – it was a DropCam. I could turn it on and off by my smart phone (iPhone), and the DropCam also allow you to talk, if they disconnect the phone. Tip #2. 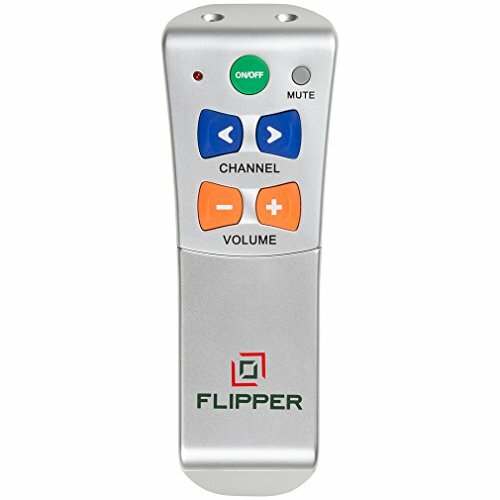 Yes the “Flipper” few button remote control, but that won’t last long. (Sorry). You can also get neon (different) colored duct tape and put them over key buttons of a remote control, but eventually that won’t work. Tip # 3. Xfinity Comcast Remote. I don’t really like Xfinity’s customer service, but they have great apps. One of those apps allow you to set up a remote control for a Xfinity cable TV account. I did this for my mom’s account. Note this used to only change channels, not TV volume – see Tip #4. So when she needed to change the channel, I just changed it for her on my iPhone. Tip #4. Slingbox 500. There is wireless device called a Slingbox, which you can connect to a TV. It allows you to use a remote computer screen to “see” exactly (I guess “slinging it” to you) what is on a remote TV. The real value of this is the Slingbox allowed me to remote control the volume and turn the TV off. Now when I say remotely – you can do these from anywhere in the USA, you don’t have to just be in the same town or state. 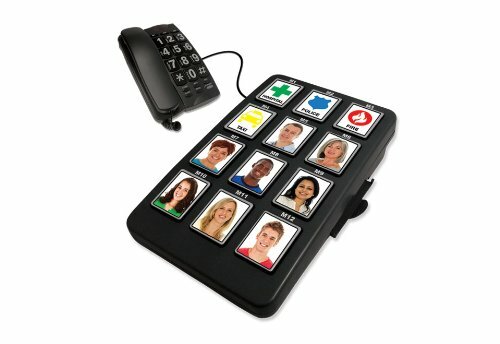 This is a way a remote caregiver can provide some help in early stages of dementia. There is another bonus Tip #5 – find DVDs which will autoplay the next episode of TV shows for several hours of TV. Some of the later seasons of Perry Mason (for example) were written to the DVDs like that. Hope this helps. Mine was all trial and error. These are some great ideas. I know about the phone. Before Mom was diagnosed, she started having trouble with the phone. She would call me then switch the phone back and forth with the TV remote control. So you can imagine, I heard every other word while she changed devices constantly. It was sort of funny, but had me totally confused until I learned that she had Alzheimer’s. Thank you so much for so many great ideas. This exact conversation happened with me & Mom last week! Hi Toots, It kind of surprises you, doesn’t it. I was taken aback when the phone conversation happened to us. I don’t think I understood dementia very well at that time. But we learn as we live through it and share. Hi Amy, I totally understand. I can still remember my disappointment when Mom had so much trouble with the phone. I know many will appreciate your post and the information about that particular phone. My Mom was hard of hearing and there’s nothing like a good Speaker Phone. They are wonderful! Thank you for sharing, Amy! I appreciate it so much when others offer helpful suggestions such as this one. My mother at one point starting making telephone calls to Russia. She would miss hitting some of the numbers and ended up getting confused in her dialing. I quickly learned to disable international dialing from her telephone. You would think things like “disable international dialing” is something someone would suggest, but you never think about it. I’m really impressed with your writing skills as well as with the layout on your weblog. Is this a paid theme or did you customize it yourself? Anyway keep up the nice quality writing, it is rare to see a nice blog like this one today. Thank you for visiting our site. This is a Theme from Studio Press called “Lifestyle.” I did customize it myself though and it’s quite easy to work with. Excellent post! When people are getting used to their new role as caregiver for someone with cognitive decline, it’s often difficult for them to understand what’s going on. This incident with Mom mistaking the phone for the remote is a great illustrations! Any suggestions for keeping the remote in ONE place so that it is not hidden, lost or thrown away? My grandmother has done this several times. She doesn’t know how to turn the tv on using the power button on it so when I go to her house EVERYDAY I turn it on for her, but at night she gets down and unplugs it. I just came from there and met the cable guys to reprogram another remote, but brought it home with me until I can come up with something. Unrelated, does anyone have experience with their loved one forgetting how to clean themselves properly? I won’t go into detail, but you can imagine. The only thing I can think of for the remote is to attach a cord in some way. Maybe a short cord that keeps the remote on top of the TV or table where the TV sits. I know how you feel. My Mom had a small portable she kept in her bedroom. I went to visit one week and the TV was gone. She loved that TV and watched it all day long. When I asked where it was, she said it quit working and she threw it away. Then her Large TV in the living room quit too, she says. Sure enough, when I check– it is unplugged. Mom had no memory of unplugging that TV. And I have a sneaking suspicion, that’s what happened to the portable too. Yes, forgetting to clean themselves or forgetting they need a bath is quite common. In later stages of dementia, in most cases, you do have to help them bathe or Sponge Bathe. Fortunately, most people with Alzheimer’s or dementia during later stages loose much of their sense of modesty. Still it is embarrassing for the caregiver. Best of luck, I know this is a difficult issue. 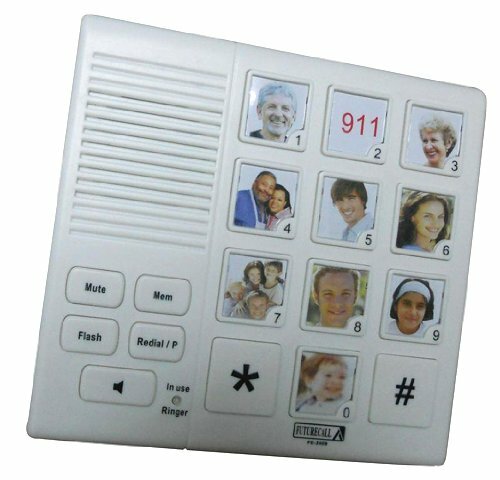 I have a caregiver friend who keeps a photo of her parents remotes so she can talk them through things like changing the channel on their TV. Oh what a good idea. I never thought of that.